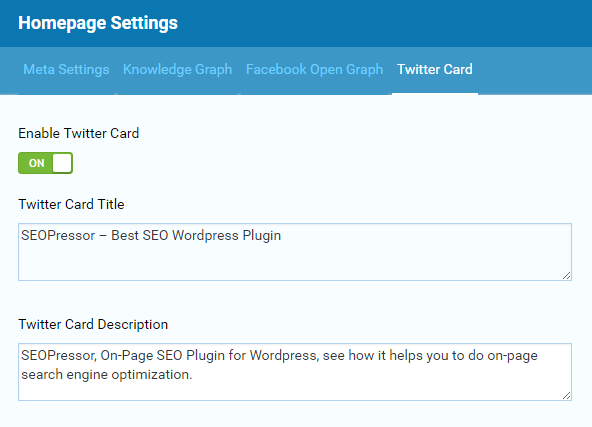 Setting up Social SEO for your homepage is important for visitors to share your page around. In this way, you’ll be getting more exposure too. In the previous tutorial, we have set up the Google Knowledge Graph. 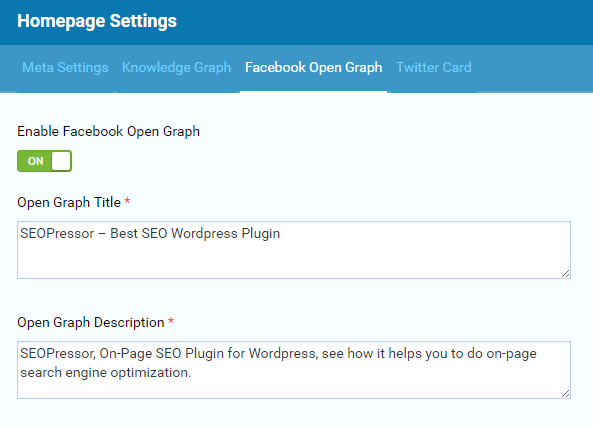 How do we setup Homepage Social SEO in SEOPressor Connect now? 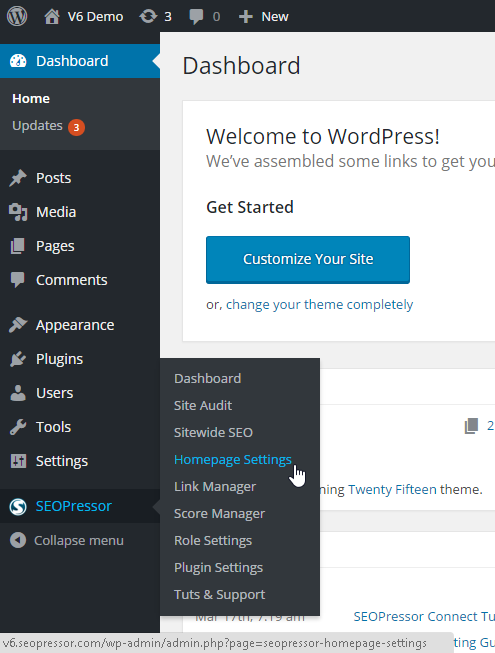 Step 1: Go to the WordPress menu on your left, click ‘SEOPressor > Homepage Settings’. You will be directed to Meta Settings, under Homepage Settings. 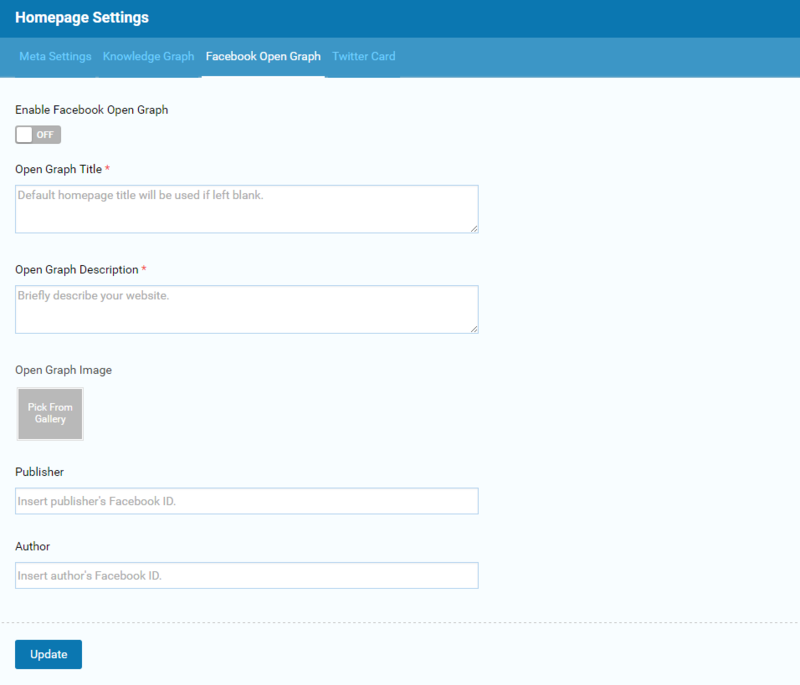 Step 2: Click ‘Facebook Open Graph’. 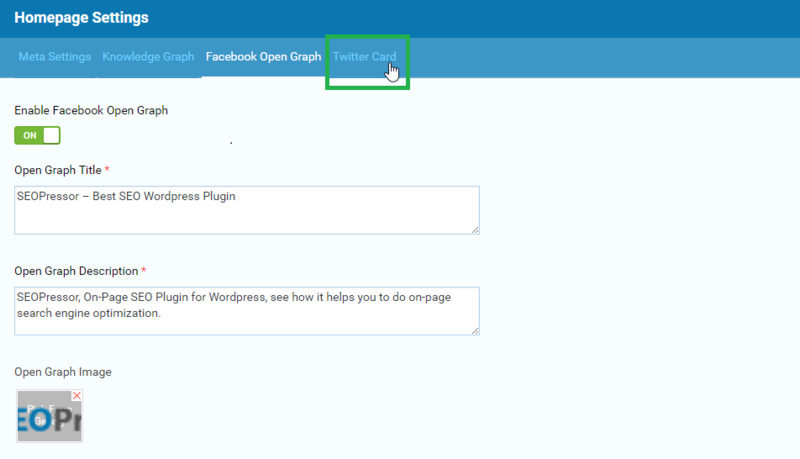 For your visitors to be able to share your website on Facebook, you have to turn on the Facebook Open Graph. Step 3: After turning it on, fill in your Homepage Title and Description. Step 4: Insert your Company Logo, fill in your Publisher and Author details. Last Step: Click ‘Update’ once you’re done. Now, let’s move on to the Twitter Card. 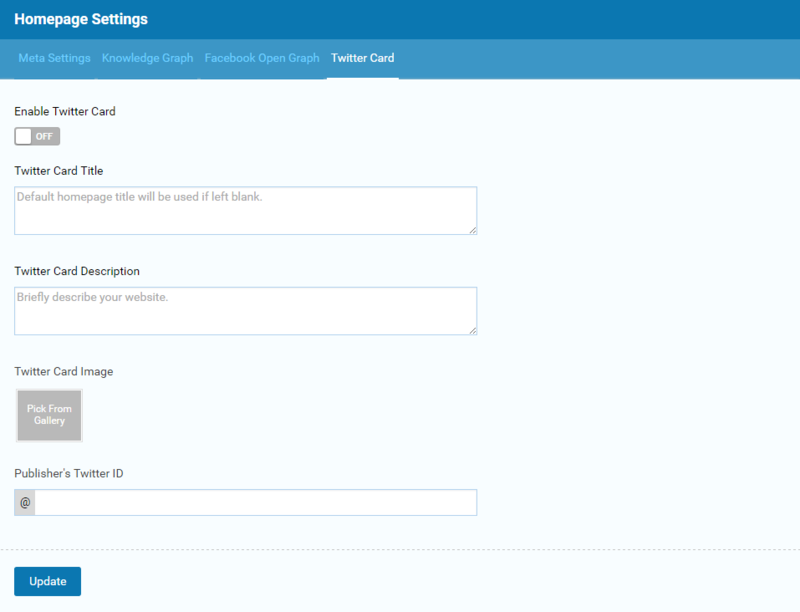 Step 1: Turn on your Twitter Card and fill in your Homepage Title and Description. 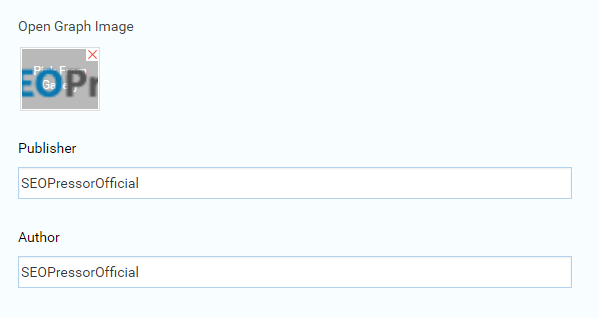 Step 2: Insert your Company Logo and Publisher’s Twitter ID. 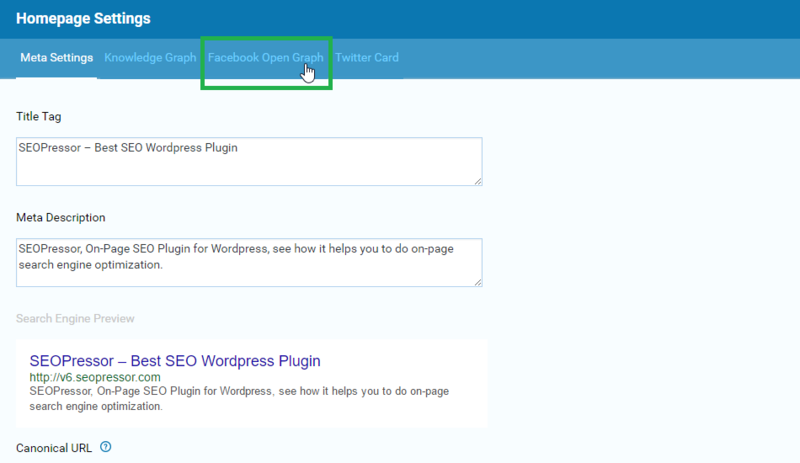 That’s all you need to set up your Social SEO for visitors to share your website.